The town of Brummen is situated to the south-east of Apeldoorn on the N48. From the motorway A12, which runs between Utrecht and Oberhausen, turn off at the junction Velperbroek onto the motorway A48 in the direction of Zutphen. Follow the A48 to the end and turn left onto the N317. At the next junction turn right onto the N48 in the direction of Zutphen. On reaching the town of Brummen turn left into Arnhemsestraat in the direction of the town centre. 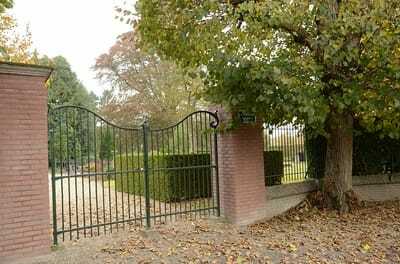 Follow the main road into Zutphensestraat and at the fork bear left into Voorsterweg. The cemetery is along here on the left. 88430 Flight Lieutenant Alastair Stuart Hamilton Baillie, Pilot in 25 Squadron, Royal Air Force Volunteer Reserve, died 13th June 1944, aged 30. 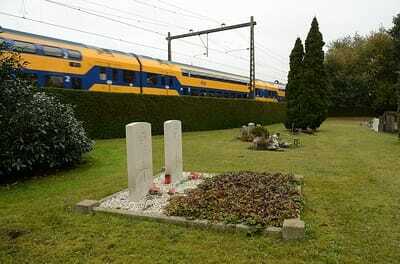 Plot D. 15A. 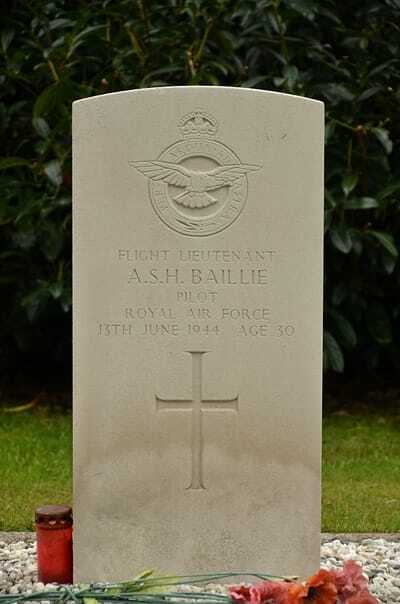 Son of Stuart Fraser Baillie and Andrewina P. H. Baillie, of Moidart, Renfrewshire; husband of Anne Baillie. 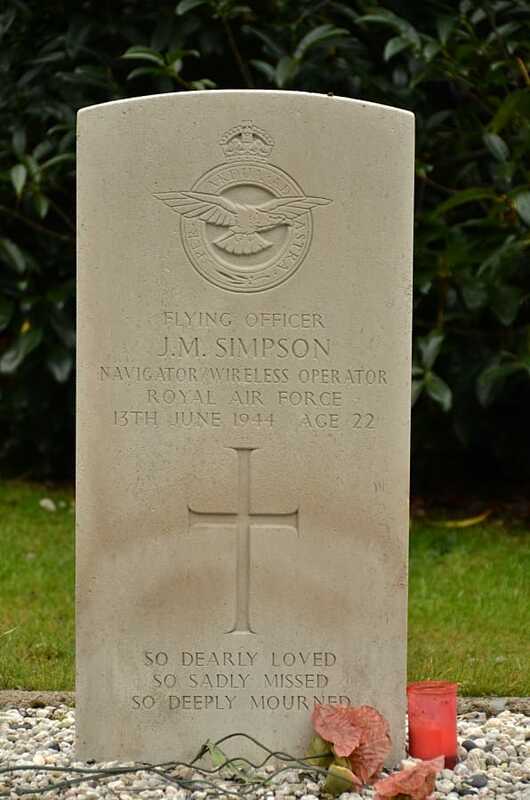 136337 Flying Officer John Milne Simpson, Navigator/Radar Operator in 25 Squadron, Royal Air Force Volunteer Reserve, died 13th June 1944, aged 22. Son of Robert and Grace Ann Simpson, of Montrose, Angus.